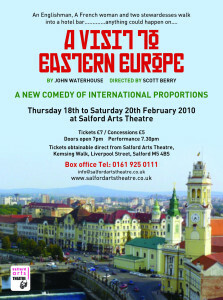 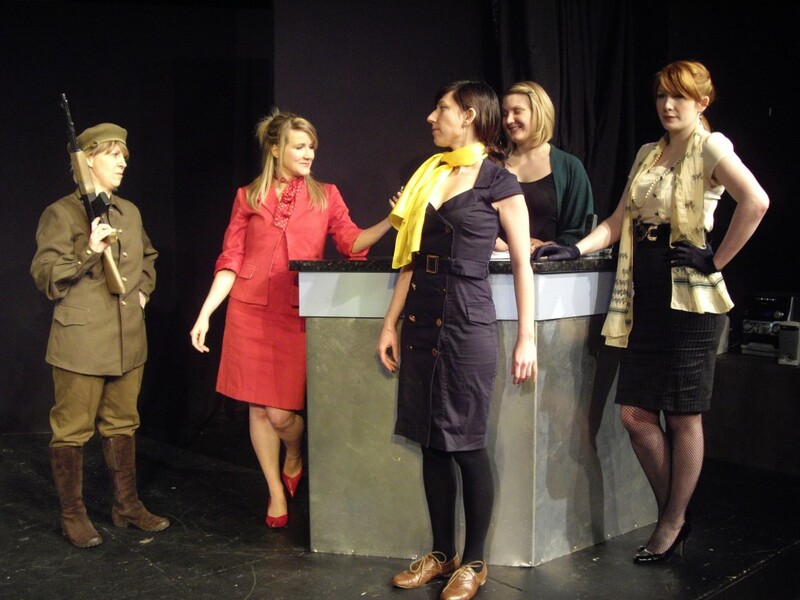 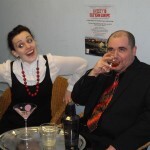 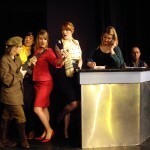 First performed at Salford Arts Theatre on 18th February 2010. 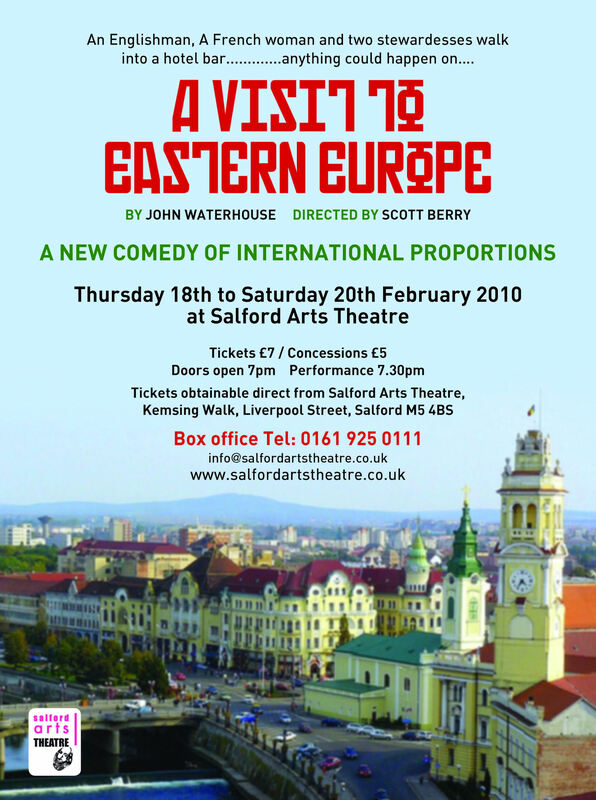 A British businessman, a French businesswoman and two airline stewardesses (one German and one English) find themselves staying in the same hotel in a small East European country. 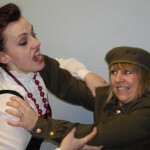 Business and international rivalries spark some tensions and there are rifts amongst the hotel staff but the sudden effects of a military insurrection put all minor conflicts to one side as the hotel is sealed off and the hotel guests are forced to interact with the hotel staff as a military commissar commandeers the hotel and everyone has to adapt radically changing circumstances and roles.